In case of EUR/USD currency pair we can see the formation of the pattern which may be a descending one with the target in the area of 1.3735. We should wait for the price to be corrected either to the level of 1.4300, or to the descending channel’s upper border, where one can try the tight stop sales. But if the price leaves the channel, this case scenario will be cancelled. 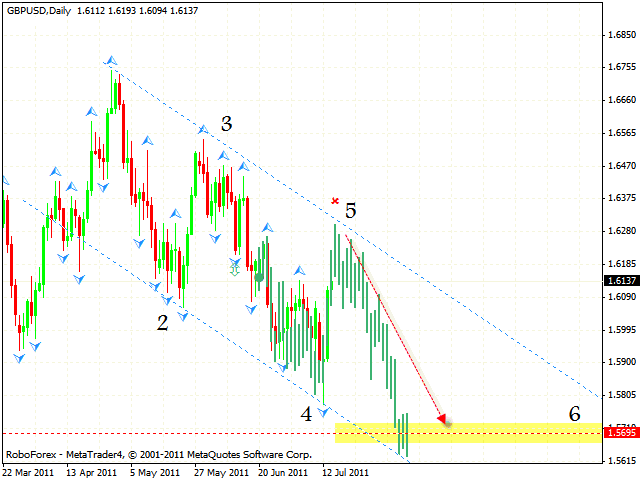 Pound is also being corrected, but at the daily chart the price is moving inside the descending channel. Before falling, we should expect the price to test the descending channel’s upper border. 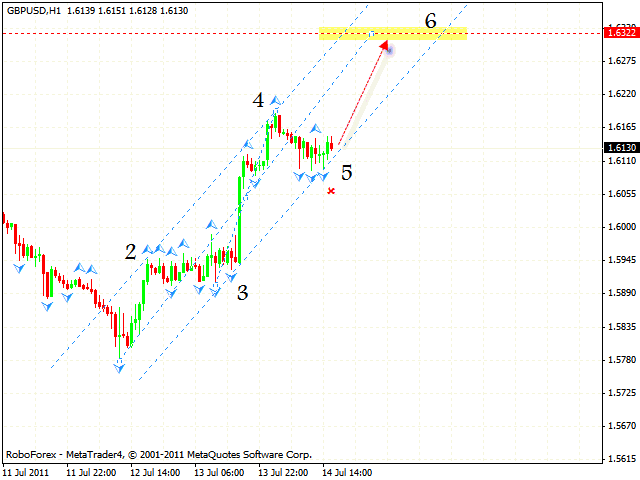 The target of the fall is the area of 1.5695. But if the price breaks the channel’s upper border, this case scenario will be cancelled. 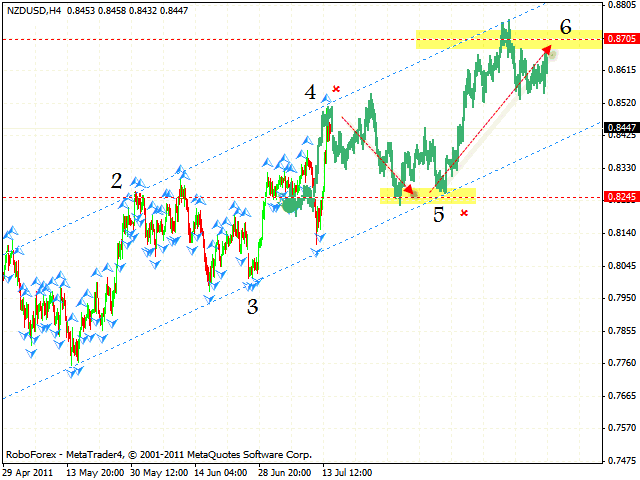 At the H1 chart of the pair we can see the formation of the rising pattern with the target in the area of 1.6322. The price is testing the channel’s lower border, we should expect the pair to rebound from it and start moving upwards. If the price breaks the level of 1.6090, this case scenario will be cancelled. New Zealand dollar has reached new local maximum, thus indicating a possible formation of the rising pattern with the general target in the area of 0.8705. 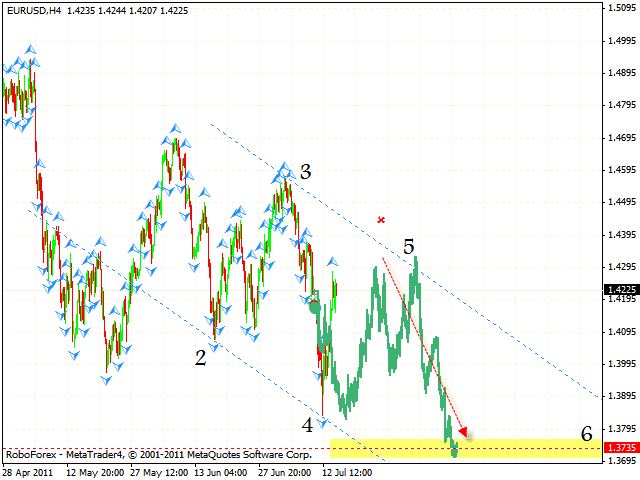 At the moment the price is testing the area where the 4th point of reference is formed. We should expect the price to fall from this area to the level of 0.8245, where one can consider opening long positions. 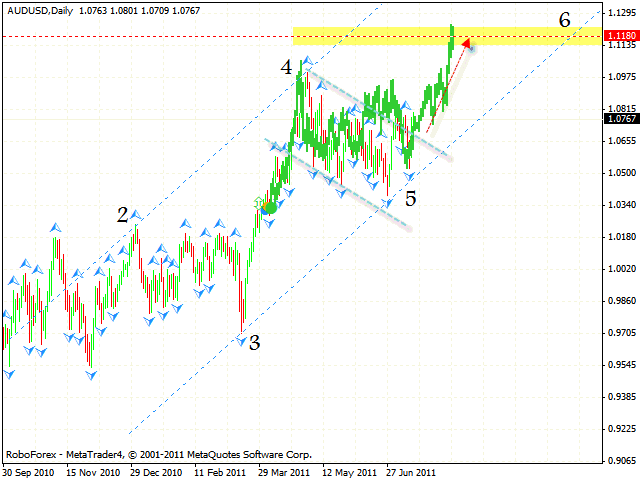 After the AUD/USD currency pair left the descending channel, it may grow into the area of 1.1180. One can try to buy the pair with the tight stop. But if the price breaks the rising channel’s lower border and leaves it, this case scenario will be cancelled.